It seems, almost, as if the best way to install a coach's true version of the spread, that there almost has to be a regime change. (For example, a complete coaching staff change-over.) 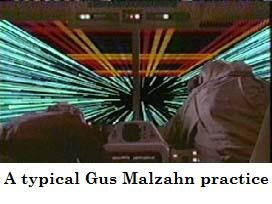 Malzahn struggled with this when he went to Arkansas as did Franklin when he went to Auburn last year. However, when Malzahn went to Tulsa, he got to install his full version because it was a complete regime change. Phil you've said it all to well about Auburn. I'm not certain if Auburn's offensive coaching staff were mentally capable to grasp Franklin's system from day 1 plus the they have been a very weak link for the Auburn offense for a very long time. I would like to suggest that Coach Hugh Wyatt of Double Wing fame is the inventing of the "Wildcat". This link will take you to his site. Chris, great post as usual. Just one comment: you say that the downside of this offense is that it exposes the defense, especially with turnovers. I'm not disagreeing but I think this falls into the category of a "testable hypothesis." Could it be that the greater number of turnovers and yards given up by this and other up-tempo teams is due only to the greater number of plays they are running? You could find out by figuring TU's ratio of turnovers per play or per posession as opposed to per game or per minute. By the same token, you could see how many points (and yards) their defense gives up per play (or posession), in order to compare them objectively with a defensive team whose offense uses a normal tempo. If a hurry-up team turns it over (and stops the opposition) with the same frequency per posession as a normal team, maybe the greater number of points and turnovers allowed per game is irrelevant. Comments anyone? Metz49, I've thought the same thing ever since I started to hear of this direct-snap wildcat stuff at the major college level, but after looking at it a little more I think it's fairly different from Coach Wyatt's balanced-line wildcat with the two side-by-side short snap QBs. 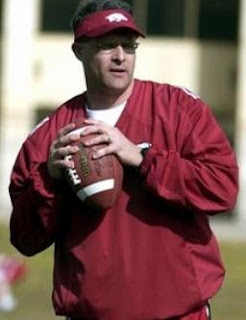 Coach Wyatt deserves credit as an innovator, but does anyone know whether he had a hand in what they did at Arkansas? His website indicates that his offense may have inspired them to use the name and the direct snap, but the wildcat now used by so many teams in college and the pros looks more like watered-down single wing to me. Just my $0.02. Metz, Thanks for giving Coach Wyatt (a personal friend of mine) a shoutout. Whatever Arkansas ran was certainly developed by Malzahn, but the name "wildcat" and its association with a multiple-misdirection shotgun offense was almost certainly coined by Wyatt in the late 90's. Other than that, nice article, Smart Football. Wyatt's Wildcat was an extension of his double wing offense. It was an approach to take advantage of a two-tailback backfield and to lessen the impact on the center snap (despite their reputation as conventional, under-cented snaps are harder than shotgun snaps). On another note, with the huge staffs today, one can't underestimate Todd's point that it's difficult to get a current staff on board with a new philosophy. If an OC is hired and all the assistants are already there, I imagine it takes a real strong figure at HC to sell everyone on the new guy's system. Is this offense a combination of the airraid and the myer offense? You might not want to "go there" as your excellent blog is about x's and o's and not the social/cultural aspects of the game, but I'd be curious to know your thoughts about Charles Barkley's comment about racism in Auburn's hiring. Malzahn's doesn't have the best track record of the coach's interviewed. Sure there are intangibles to consider, but football -- and other sports -- have to start drawing the line at including color in that category. With the hiring of Tracy Rocker Auburn now has the most African American Assistants on staff in the SEC...and they still have two staff positions to fill.